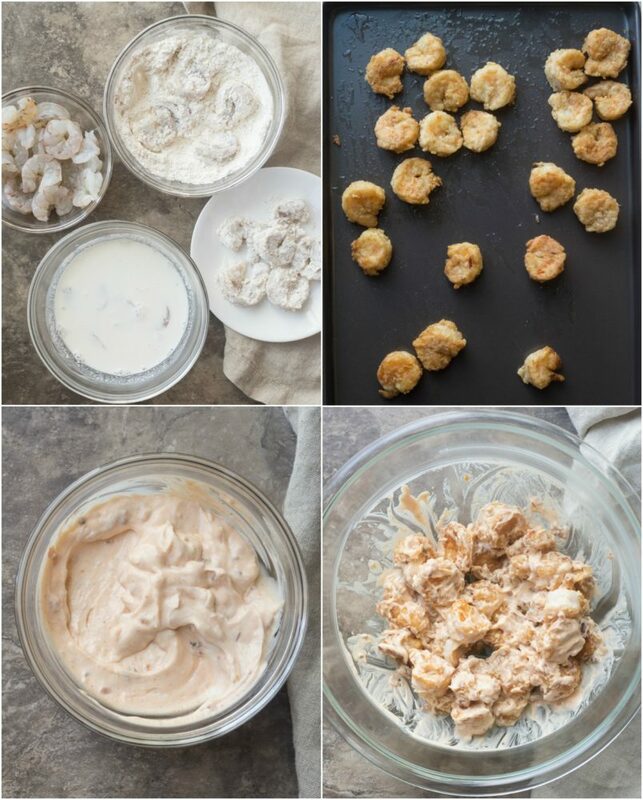 This Easy Bang Bang Shrimp Recipe is the ultimate appetizer! The CopyCat recipe inspired by BoneFish Grill is going to win you over! Crispy fried battered shrimp coated in a homemade sweet and spicy sauce – pure perfection. Enjoy the appetizer over a bed of lettuce or serve over Baked Rice as a meal! We love this fried shrimp recipe frequently serve sauteed shrimp and baked shrimp for healthier options. Bang Bang Shrimp is the most popular appetizer at BoneFish restaurant. If you’ve not tried it – you truly are missing out! No worries, I’ll share everything there is to know about making this amazing side dish at home for a fraction of the cost! 🙂 You are welcome. Shrimp Scampi from Olive Garden. BBQ Chicken Buffalo Salad from the Cheesecake Factory. Eggplant Shrimp appetizer from Brio. Chicken Parmesan from Macaroni Grill. In a medium bowl, combine the ingredients for the sauce. Set aside. Prepare the milk mixture in one bowl and the flour mixture in a second bowl. Dredge shrimp in the milk mixture. Then, generously coat in the flour mixture. Place onto a platter. Continue with remaining shrimp. The sweet and spicy sauce for fried shrimp is so easy to prepare. Combine the mayonnaise, chili sauce, minced garlic and Sriracha. The Bang Bang Shrimp is traditionally served over a bed of shredded lettuce as an appetizer. However, the shrimp may be served as lettuce wraps, or with a side of mashed potatoes, paired with Cauliflower Bacon Salad as an entree. The possibilities are endless! 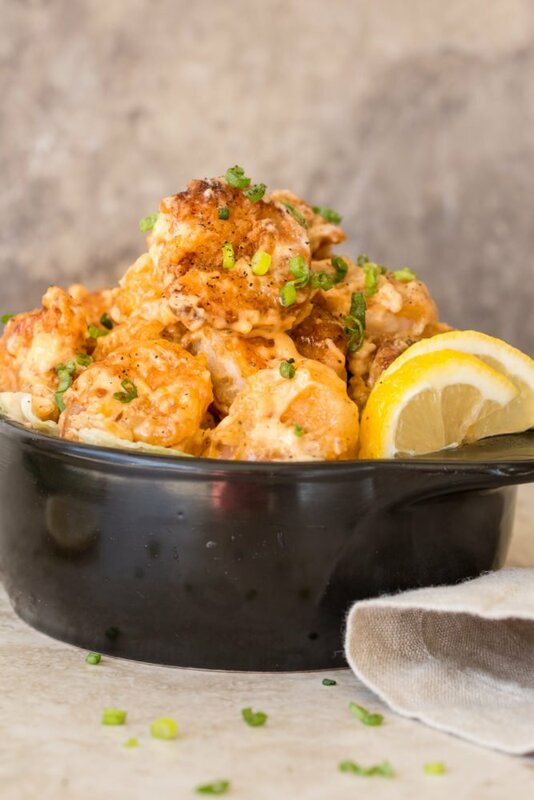 I hope you enjoyed this CopyCat BoneFish’s Bang Bang Shrimp Recipe, truly is the BEST fried shrimp recipe you’ll make at home. 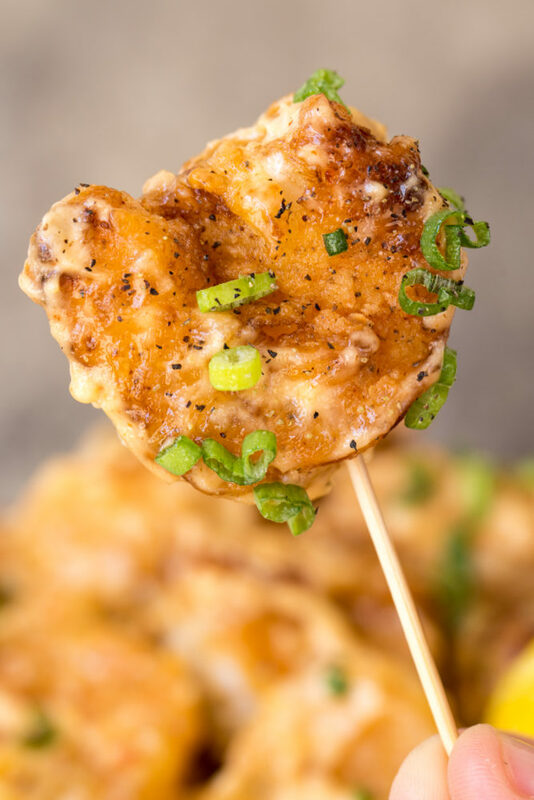 This Bang Bang Shrimp Recipe is the ultimate appetizer! This CopyCat recipe from BoneFish is going to win you over! Crispy fried shrimp coated in a homemade sweet and spicy - pure perfection. Devein and remove tails on the shrimp. Pat shrimp completely dry. Prepare the milk mixture in bowl 1 and the flour mixture in bowl 2. Dredge shrimp in the milk mixture, then, generously coat in the flour mixture. Place onto a platter. Continue with remaining shrimp. In a skillet, over high heat, cover bottom with oil. Once the oil is hot add shrimp, don't overcrowd skillet. Fry shrimp 2-3 minutes per side, until crispy and cooked through. If you will be working in batches, add the fried shrimp to a baking sheet and place it in a preheated oven to 375°F to keep it hot and crispy while the remaining shrimp are cooked. wow, this looks so good. I need to serve bang bang shrimp for our next hosting party. Yes! This is my favorite appetizer at Bonefish as well. I love that it’s so easy and can be made at home. So good! I’ve never tried the original Bang Bang Shrimp but your recipe looks so delicious I am sure it beats the restaurant version! Oh, Julia. This shrimp is literally mouthwatering delicious. I just love how easy it is to make. Restaurant quality food from the comfort of home. :).. Seriously drooling over here!! 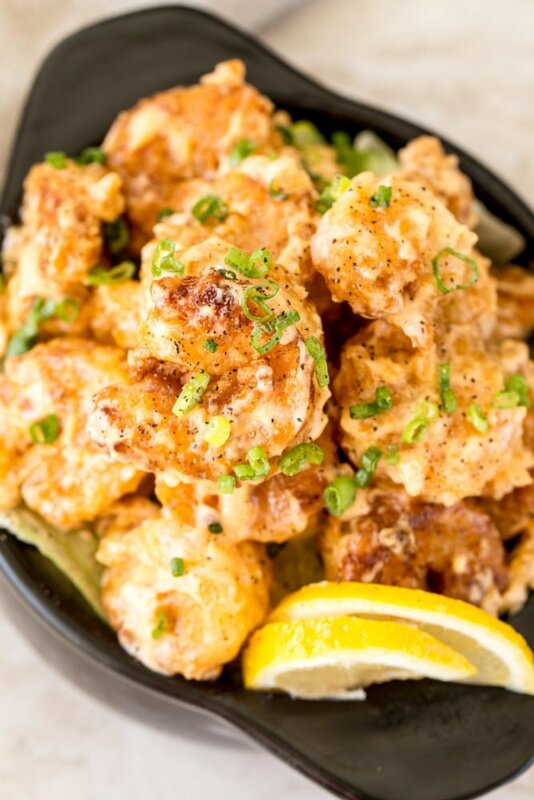 Ever since I tried bang bang shrimp from bonefish grill I have always wanted to make a copycat recipe at home, this one looks like a WINNER Valentina! My husband is going to love this! Valentina, you outdid your self, thanks for sharing the recipes for Bang Bang Shrimp! My son is a huge fan of shrimp and he will be trilled to try this. Thanks again! Thanks so much. This recipe is definitely a favorite of ours, for sure. So easy and SOO GOOD! You say to use chili sauce but all the other copy cat recipes for this shrimp say sweet chili sauce. Which is it? Thanks for catching that, Bryan. The recipe is updated. Enjoy! This is one great recipe! Love the how all the simple ingredients come together to form a perfect appetizer! Thanks for sharing!